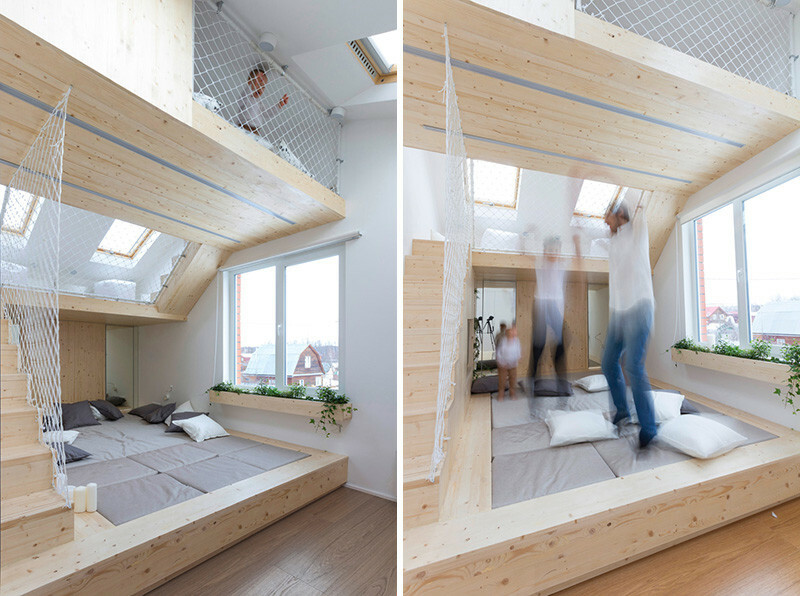 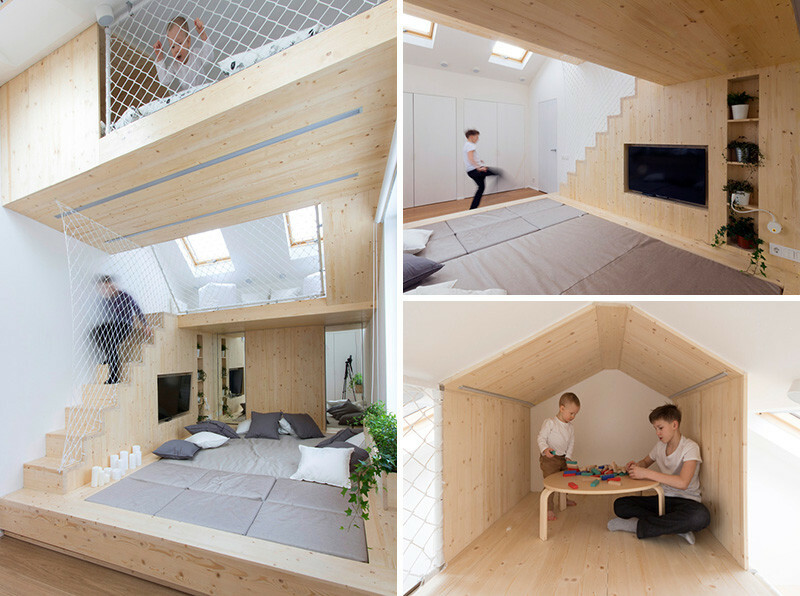 Ruetemple have designed a playroom, within a bedroom, in a summer house in Moscow, Russia, for a family of five. 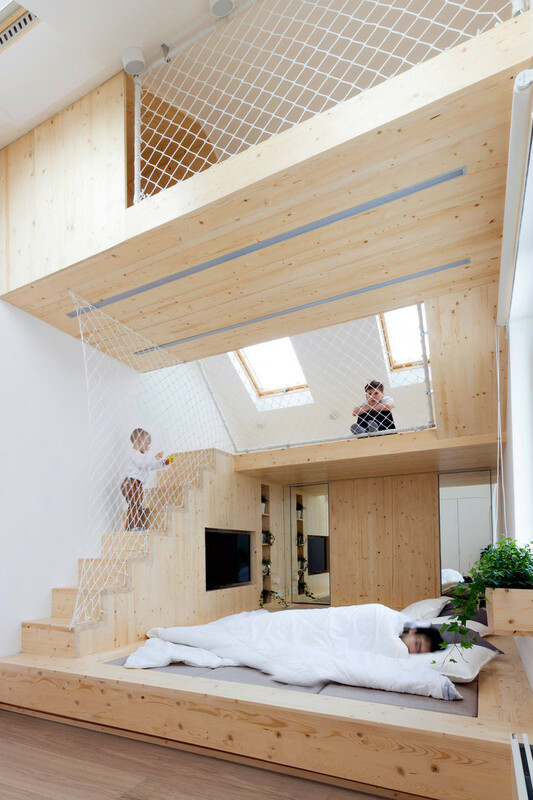 Ruetemple was asked by their clients to create a bedroom, where the parents sleep, however it could also become a playroom for the children, while the parents slowly wake up. 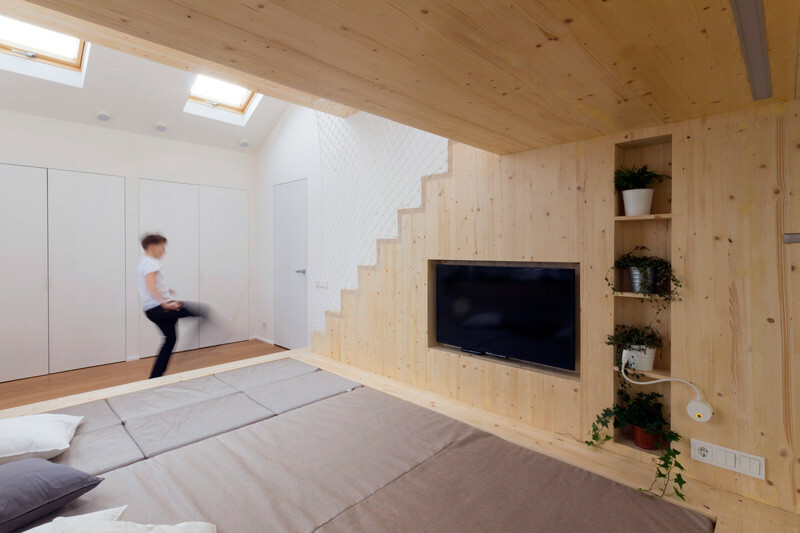 The bedroom space has an oversized mattress, perfect for lounging and watching TV. 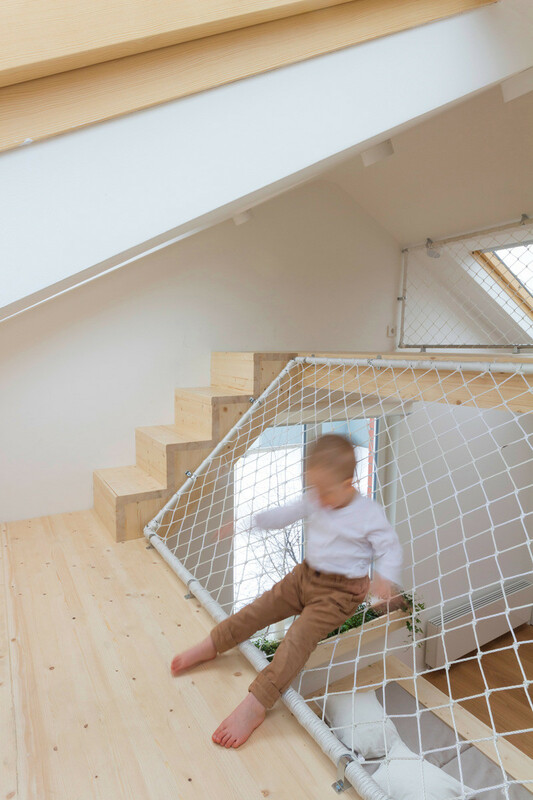 Looking up, you can see the layout of the children’s space. 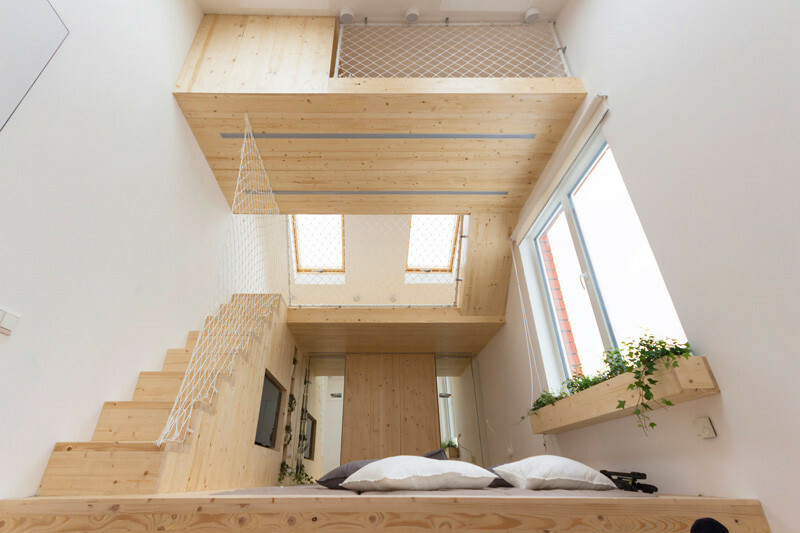 The stairs lead from the bed area up to a small landing. 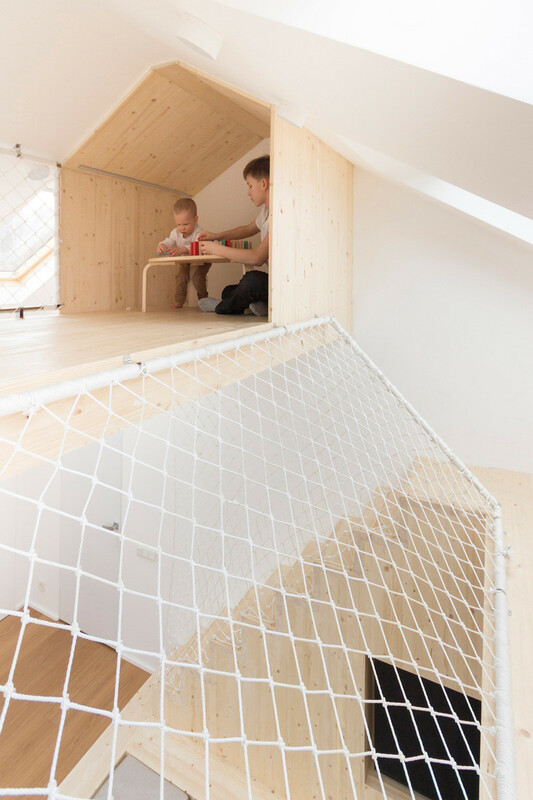 Safety nets make sure the children don’t fall. 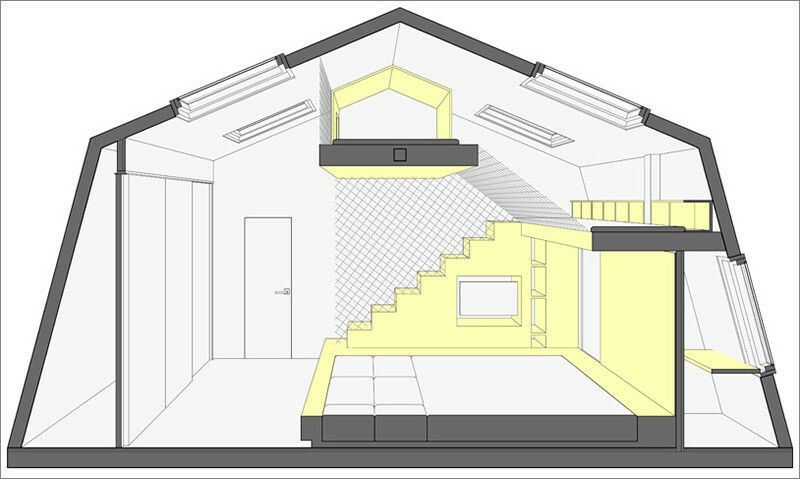 The landing has been fitted out with a small mat and some pillows. 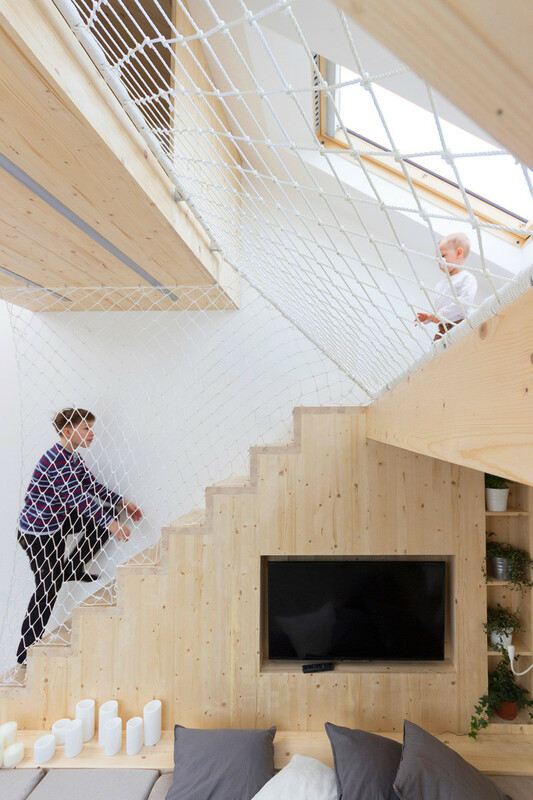 Of course, the nets get tested by the children. 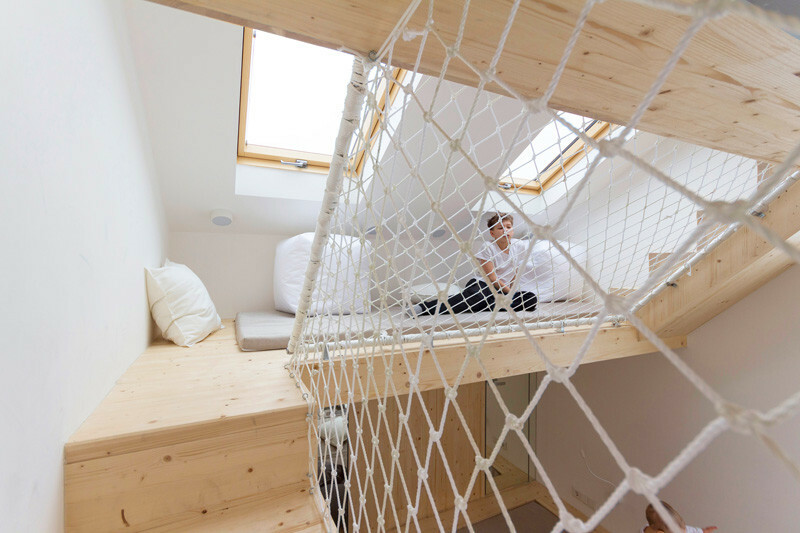 From the landing, you climb another small set of stairs that lead to a small cubby. 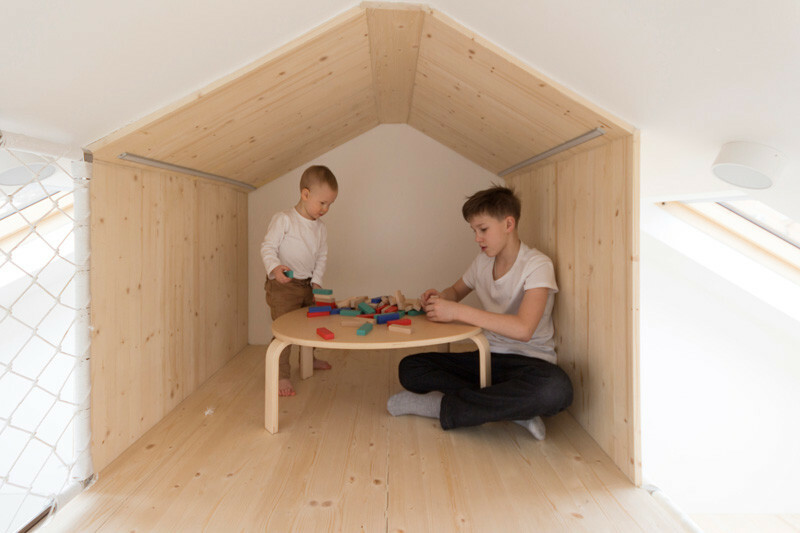 The cubby has enough space for a small table and some toys. 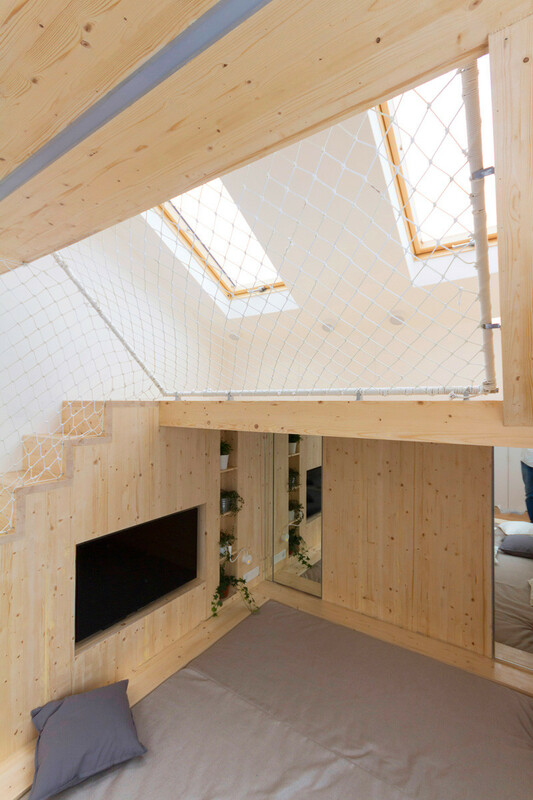 Here you can see the plan for the project, which was made for «Cottage Solution» (“NTV Broadcasting Company”).